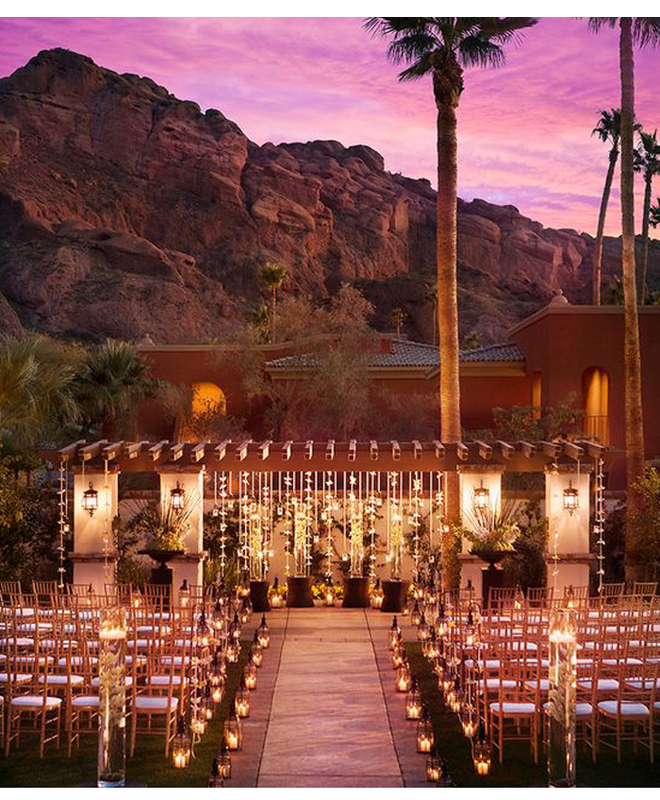 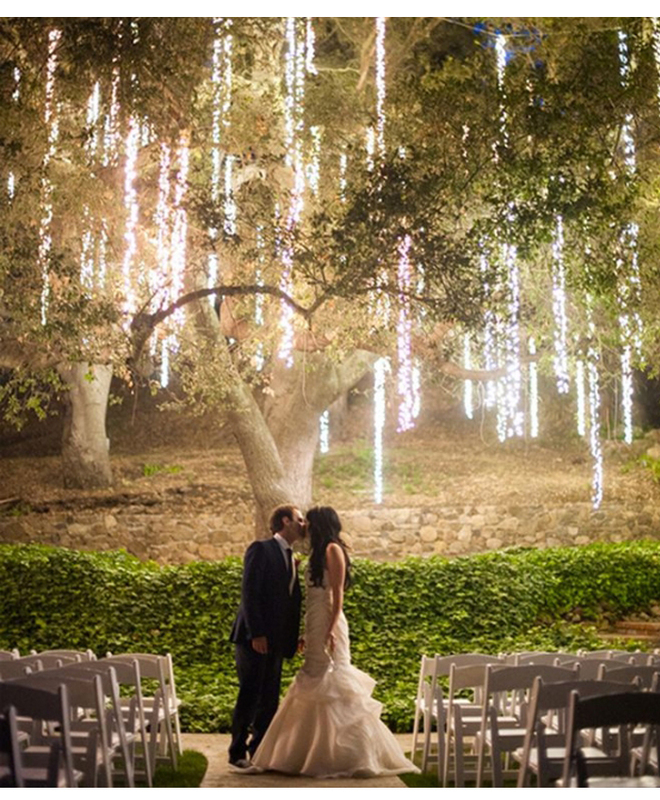 It’s usually an after-thought, but lighting your wedding or reception venue properly can instantly transform it from everyday to epic. 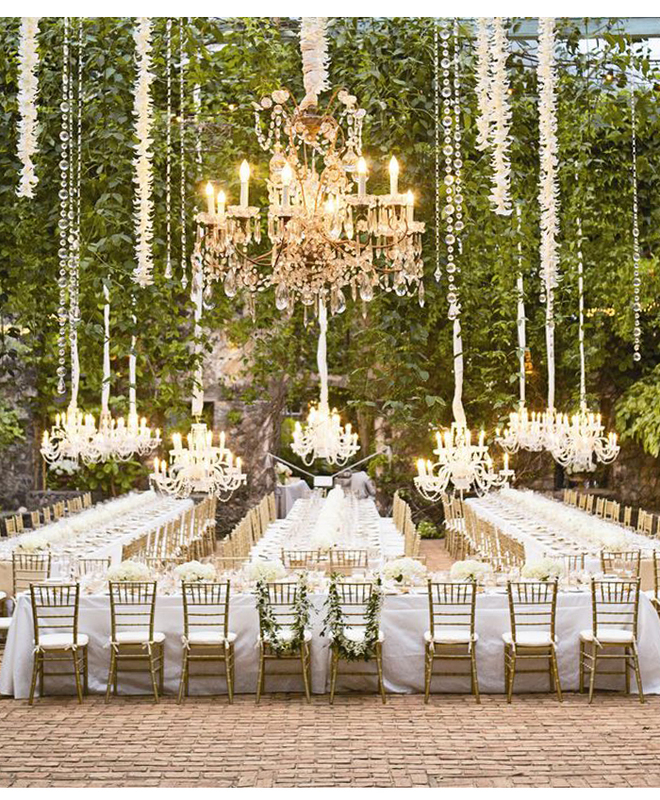 Whether you're considering romantically flickering candlelight, mood lighting over the reception dancefloor or strands of fairylights in the trees of your venue, they'll add a little bit of magic to your day. 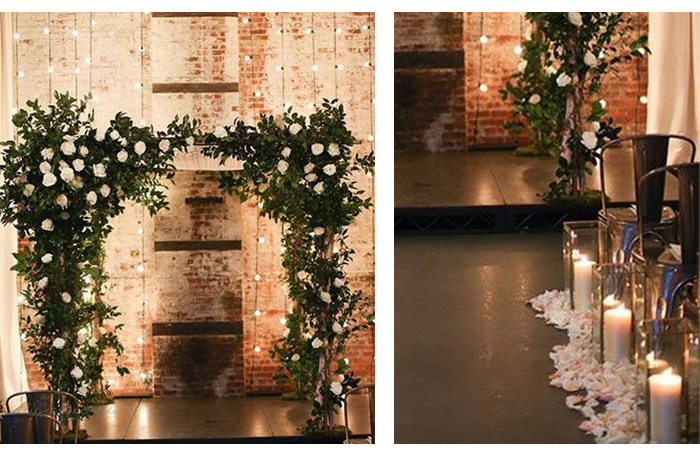 Having a mandap? 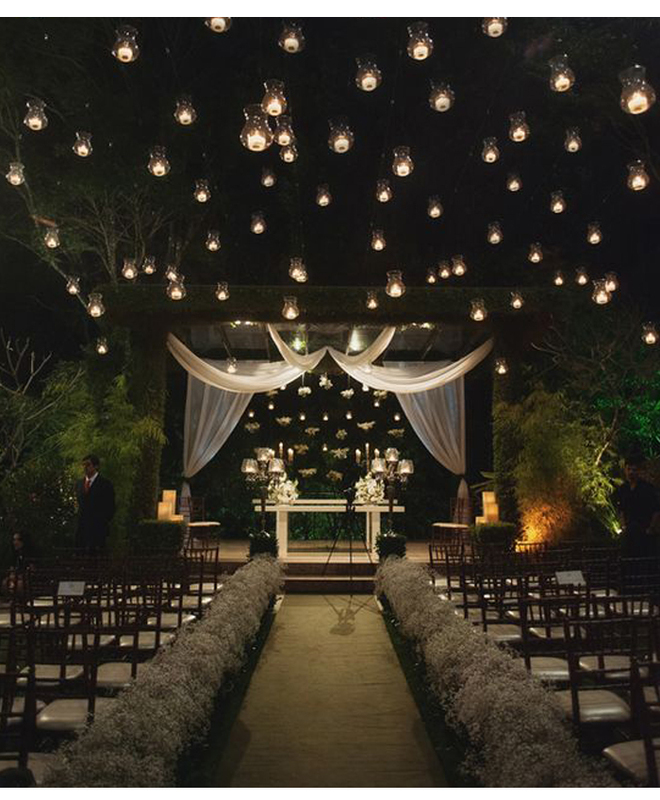 Just multiply the foliage and lights! 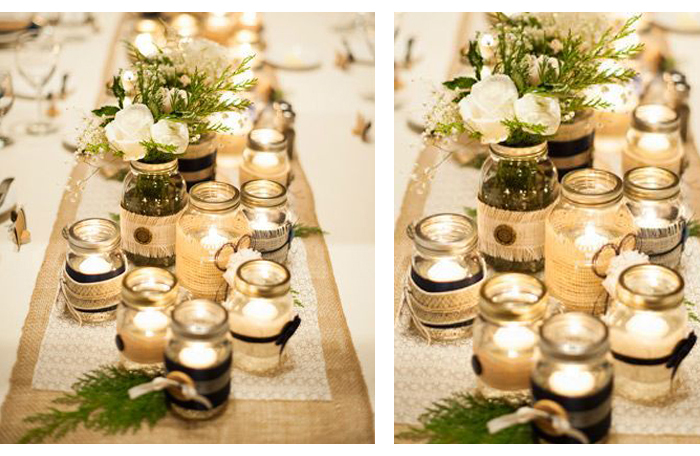 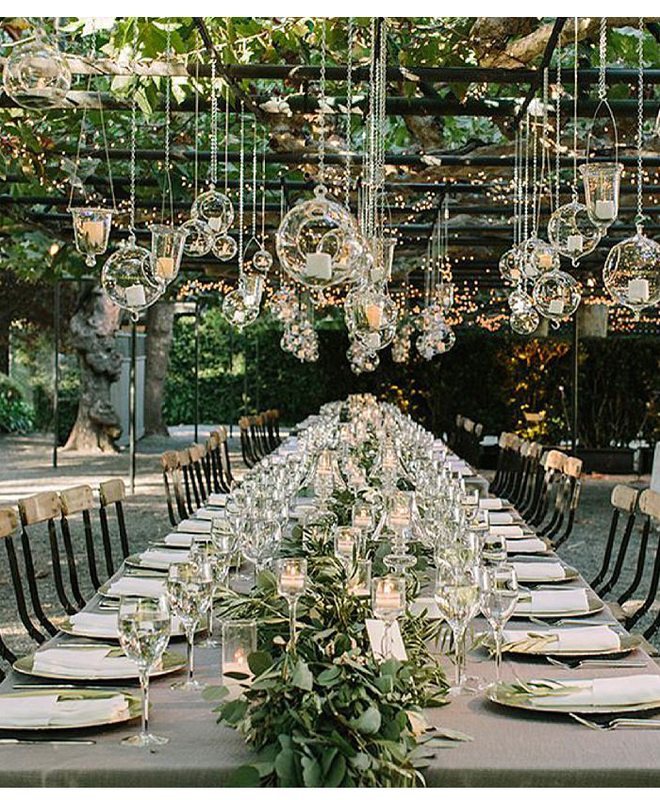 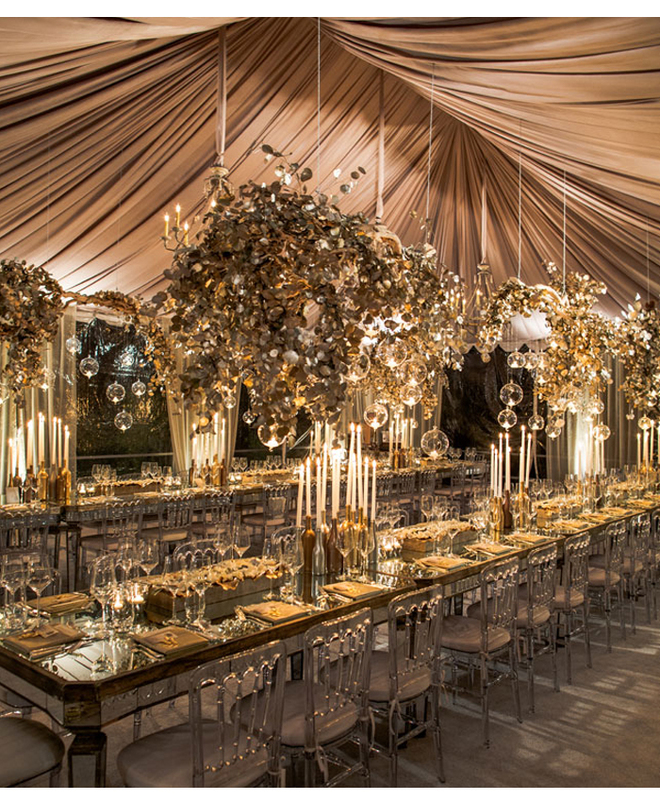 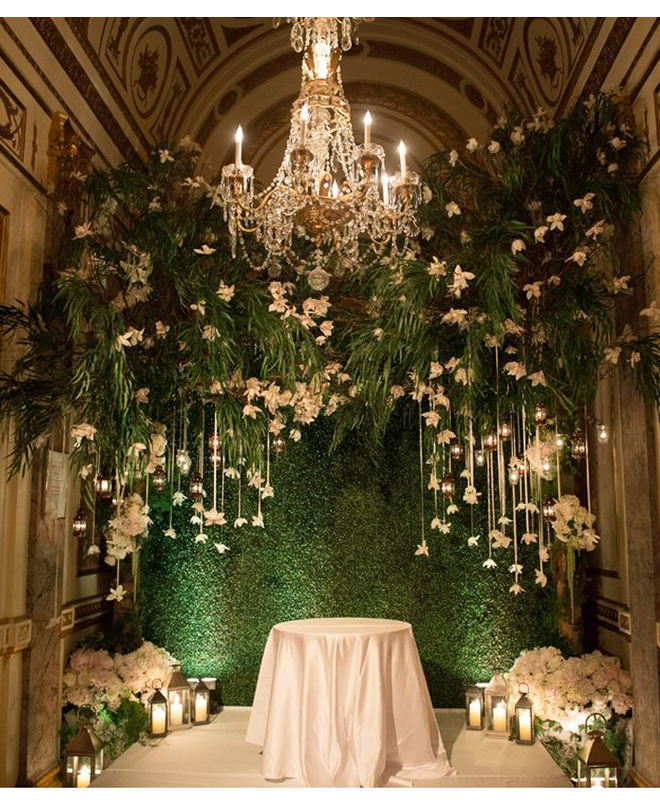 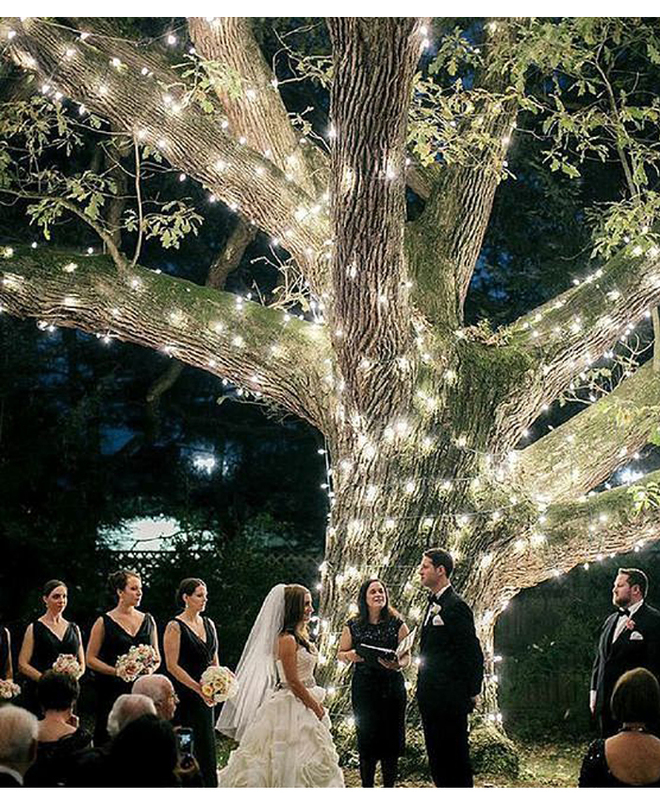 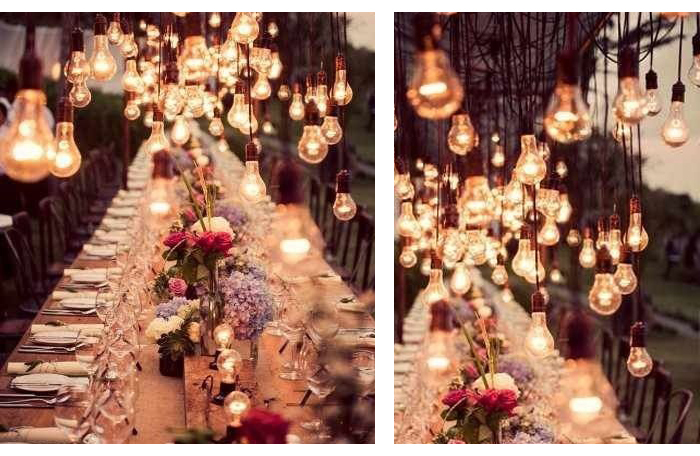 Forget centrepieces - and use lights as a runner instead!